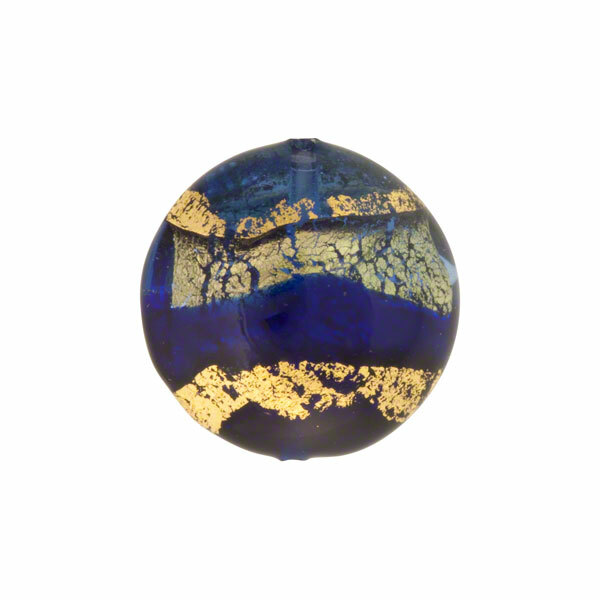 An authentic Venetian Bead in the SERALE series, this blue/cobalt blue bead will certainly merit your attention. The size of this bead is approximately 16mm diameter and it is about 7mm at the thickest part. The 1mm hole runs through the center of the bead. The gold on the exterior may rub off due to wear and tear or exposure to body oils and lotions. This is not a defect of the bead. 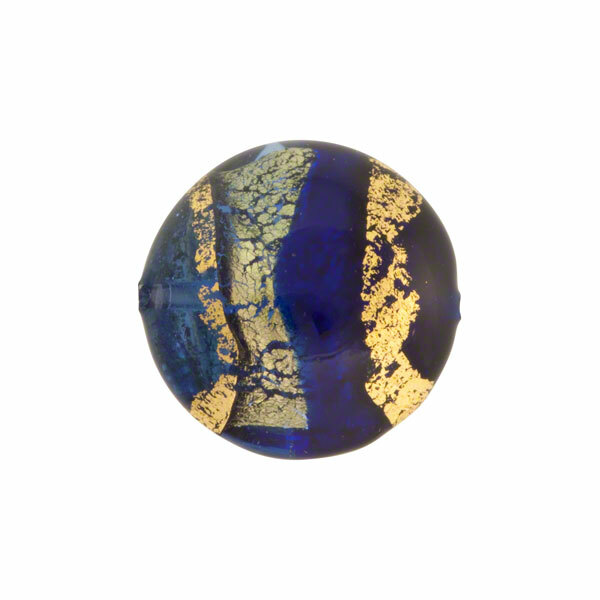 Used as a focal bead or in combination with other sizes and shapes in the SERALE series, your jewelry is sure to have the eye appeal for which Murano Glass beads are famous.